Announcement Do you need a unique gift that will make waves? We specialize in unique designer personalized gifts. I write your personalized message in the beach sand. 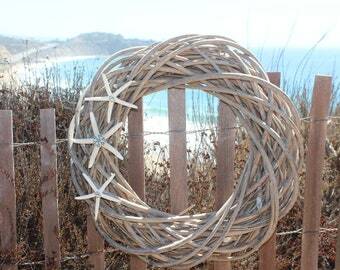 There are many beach wedding favors and ideas. I would love to make you a personalized unique gift for that special someone.. Get your message written in the sandy beaches! Thanks for stopping by my store. I write words thoughts and names into the sandy beaches of Huntington Beach. These make wonderful gifts for any occasion. From wedding gifts, baby gifts, anniversary gifts, and much more. I would be honored to work with you for the perfect holiday or Christmas gift. The Original, writing in the sand photography! We write your names in the beach sand! Perfect for couples, weddings, anniversaries, new babies and, in loving memory of, etc etc. You name it we'll write your message in the beach sand! All of our photos include an confirmation with a certificate of authenticity stating your photographs are authentic originals taken by Courtney Noelle of Natures Notebook! Also if you order a framed name in the sand, or a name in the sand print I will sign and date it with what beach I took the photograph at. Courtney Noelle specializes in writing names in the sand, the original sand artist. 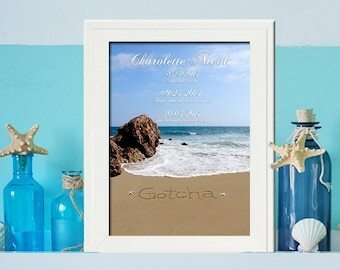 1) Our custom beach photographs of come with a certificate of authenticity. Each certificates states that each sand writing, and sea side photo is an original names in the sand by Courtney Noelle. 2.) Please understand that each photo is a work of art. Courtney Noelle herself writes and takes the time to inscribe your special message on the sandy beaches and captures it in a photo that won't wash away. Be aware that mother nature is always changing and the color and waves will vary from photo to photo. Please allow 7-10 days for delivery. 3) We always love feed back. Please know that we want you to be 100% Satisfied with your names in the sand. We stand behind our product and are very passionate about what we do. We ensure that the package should arrive to you, and hope you are very happy with your one of a kind work of art. Please feel free to leave positive feed back. If for some reason you are unhappy please let us know and we will do our best to make the situation just right! 5.) Press- Oh Goodie Gum Drops, I enjoy being in the press so please feel free to email me with your list of wishes for what you need. As always it is so wonderful to work with you thanks for stopping by! 6.) Wholesale-If you would like Nature's Notebook in a store near you please contact me. I do offer a wholesale and drop ship program. Thank you so much for your orders and have a beautiful day! I am blessed that I am able to share my artwork with you. Do you need a unique gift that will make waves? We specialize in unique designer personalized gifts. Another day at the office. . . Sometimes it washes away before I can snap the pic! That is the nature of the job! viola.....clean slate! Framing, signing and shipping the personalized frames to my wonderful customers! I create one of a kind works of art by writing custom messages in the REAL beach sand. 3.) I will go to the beach, write your image in the sand, capture it, then send you proof via email within 1 week from when you place your order. 4.) Viola, a beautifully packaged one-of-a-kind gift will arrive to your doorstep, and you can unwrap the joy of the ocean! Nature's Notebook was born of my connection to Gods beautiful canvas of the beach and His creation of the world we live in. Drawn to the sandy edges of the sea, and the beautiful lines of the mountains I have always felt inclined to createOOAK gifts. Welcome to Nature's Notebook! Each photo is a work of artPlease enjoy, a keepsake that won't wash away! natursnotebook [!at] gmail.com and include the best way for us to contact you. **Cannot return damaged or defective items with out return authorization. If you need an RA # please email orders [!at] naturesnotebook.com with the subject line as Return Authorization request. Your order number must be in the email.